Japan's Nikkei newspaper reported Friday that President Obama will name former Treasury Secretary Lawrence Summers as chairman of the Federal Reserve Board. According to Reuters, the newspaper quoted unnamed sources, saying in its original Japanese version that Obama was "in the final stages" of moving toward naming Summers. Meanwhile, the English-language version said Obama "is set to" name Summers as early as late next week. The White House repudiated the claims. A spokeswoman for the Obama administration said the president has not yet made his decision about his nomination to replace Ben Bernanke, whose term expires in January, when asked about the story. Summers would be a controversial pick for Obama. A number of senators, mostly Democratic ones, have criticized the potential nominee for easing banking restrictions and not regulating derivatives when he served as treasury secretary during Bill Clinton's presidency in the 1990s. The Senate must approve Obama's appointment. Although Washington has been focused on whether the president will pick Summers or current Fed Vice Chair Janet Yellen, the New York Times and Washington Post reports have suggested Obama is very likely to pick Summers. The Times also ran an editorial about why Summers would be a poor choice for the position. Mr. Summers’s reputation is replete with evidence of a temperament unsuited to lead the Fed. He is known for cooperation when he works with those he perceives as having more power than he does, and for dismissiveness toward those he perceives as less powerful. Those traits would be especially destructive at the Fed, where board members and regional bank presidents all bring their own considerable political power and intellectual heft to the Fed’s decision-making on monetary policy and financial regulation. Putting Mr. Summers in charge would risk institutional discord or worse, dysfunction. The potential news comes at the same time as reports of Obama reshuffling the National Economic Council. The White House announced Friday that Gene Sperling, the council's director, plans to leave the administration on January 1. Obama named Jeffrey Zients, the former acting director of the Office of Managament and Budget, as Sperling's successor. In a statement, the president praised Sperling, saying, "Gene's relentless work ethic, sharp intellect and ability to work across the aisle have been instrumental in our efforts to build a better bargain for the middle class and reduce the deficit while also protecting the most vulnerable," he said. "I want to thank Gene and his family for their service and I look forward to having his counsel for the rest of the year." 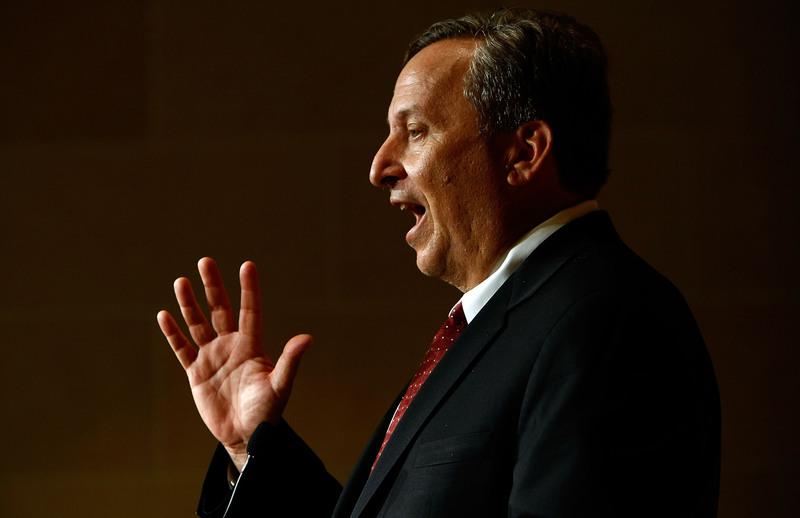 Obama had similarly admiring words for Sperling, a former top advisor to former Treasury Secretary Tim Geithner. Sperling "helped us avoid a second Great Depression and led efforts to pass a Small Business Jobs Act to help entrepreneurs grow," Obama said. The Washington Post ran a list of three things you need to know about Jeffrey Zients, including one very important and obvious one: His appointment doesn't help the Obama administration's woman problem.